Ryanair is predicting a summer of weaker European airfares and airline failures after posting its first quarterly loss since 2014 due to excess winter capacity and lower ticket prices. The airline on Monday posted a third-quarter net loss of €19.6m, down from a profit of €105.6m in the same quarter a year before, after average airfares fell 6 percent to under €30 euros. Its profit guidance is still in the range of €1.0bn to €1bn, excluding start-up costs in Lauda, thanks to stronger traffic growth, ancillary sales and a better than expected fall in unit costs. The company said that it had reasonable visibility of its fourth quarter bookings but could not rule out further cuts to fares, especially if there were unexpected Brexit developments. “We do not share the recent optimistic outlook of some competitors that summer 2019 airfares will rise,’’ it said. 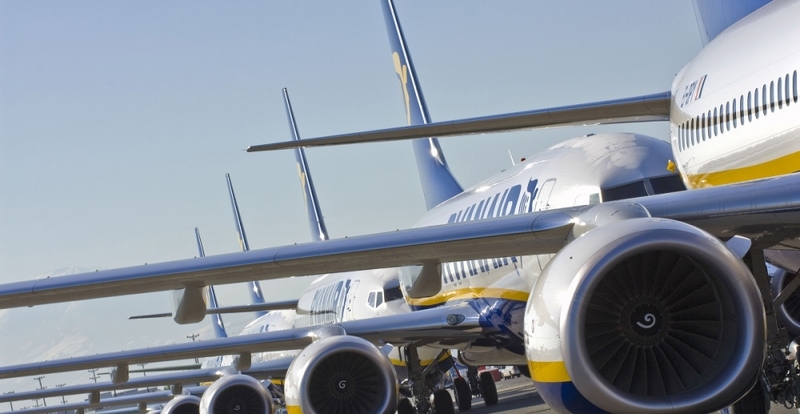 Ryanair noted that higher oil prices and lower airfares in the last four months had seen “a wave of EU airline failures” including Primera, Small Planet and Azur (Germany), Sky Works (Switzerland), Cobalt (Cyprus) and Cello (UK). It said bigger airlines such as Wow, Flybe and Germania were urgently seeking buyers or, like Norwegian, refinancing to survive. Ryanair closed unprofitable bases in Bremen and Eindhoven and cut aircraft numbers in Niederrhein and Hahn as a result of the weaker conditions. It noted Norwegian had closed multiple bases, many where they compete with Ryanair, while easyJet and Lufthansa had also cut back. “We expect more closures and airline failures in 2019 due to overcapacity in the European market, which is causing continued fare weakness,’’ it said. Ryanair Holdings also announced it would move to a group structure not dissimilar to that of rival IAG. This will see 57-year-old chief executive Michael O’Leary, who just signed a new five-year contract, become group CEO guiding the individual bosses of subsidiaries Ryanair DAC, Laudamotion, Ryanair Sun and Ryanair UK. It will mean he will step back from day-to-day operations to concentrate on group development and issues such as capital allocations, aircraft acquisitions and small scale merger and acquisition opportunities. Ryanair’s chairman for more than two decades, David Bonderman, also announced plans to leave the airline in 2020 and will be replaced by former Kerry Group boss Stan McCarthy.